By my count, there were 12 NEW databases ADDED this past week, per the list above. 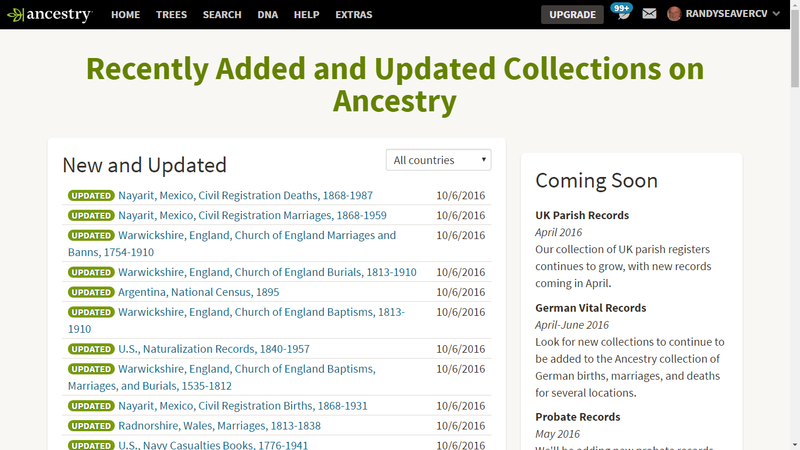 There are now 32,754 databases available as of 16 October, an increase of 2 from last week. 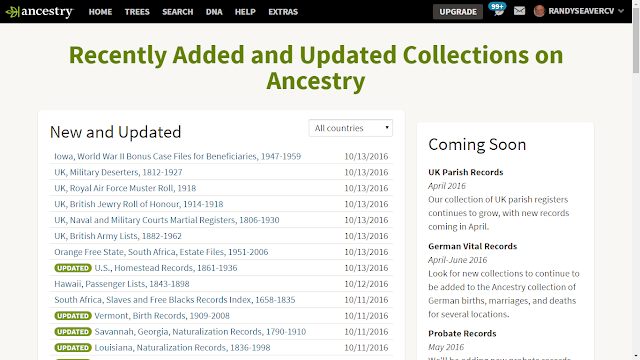 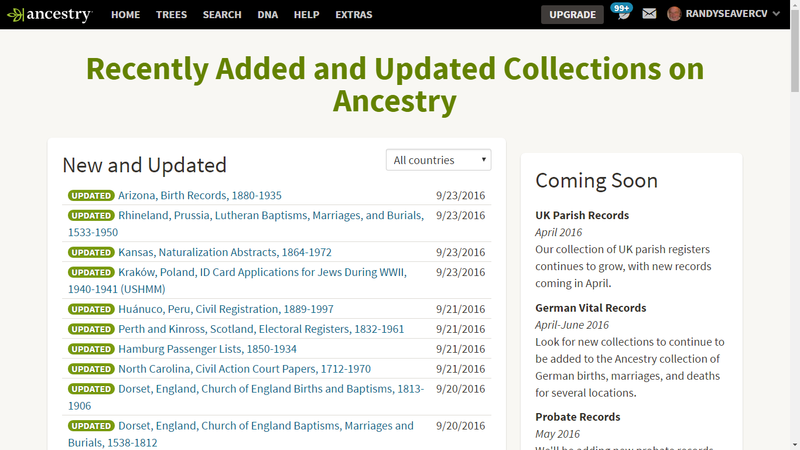 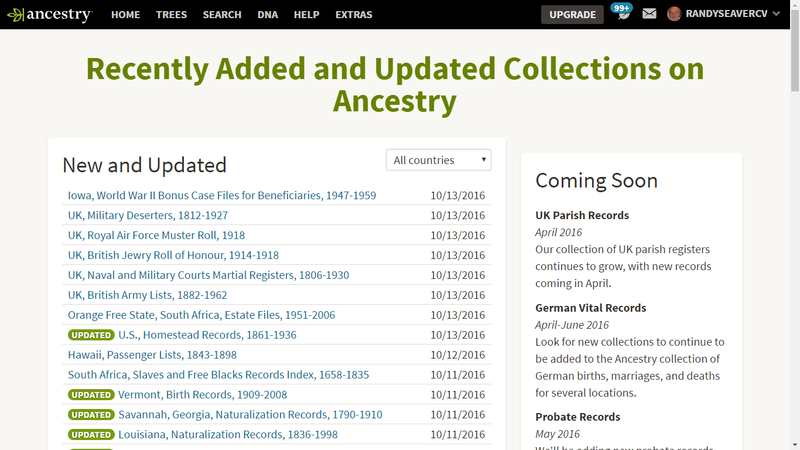 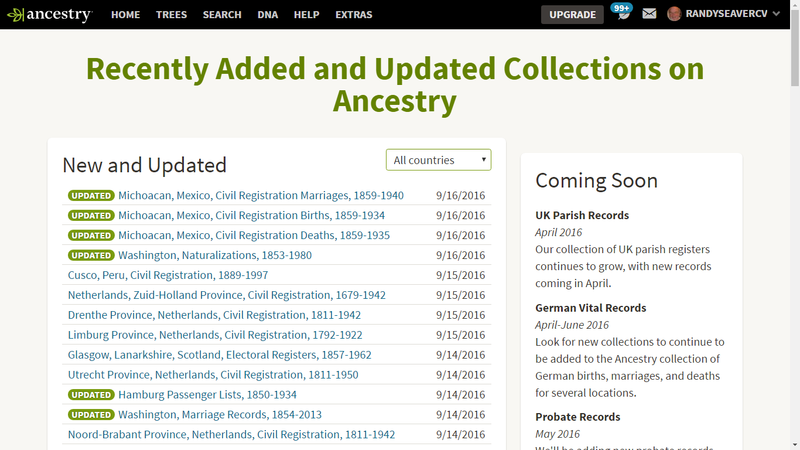 Did Ancestry.com lose track of the database count, or did they delete or discontinue 10 databases last week?